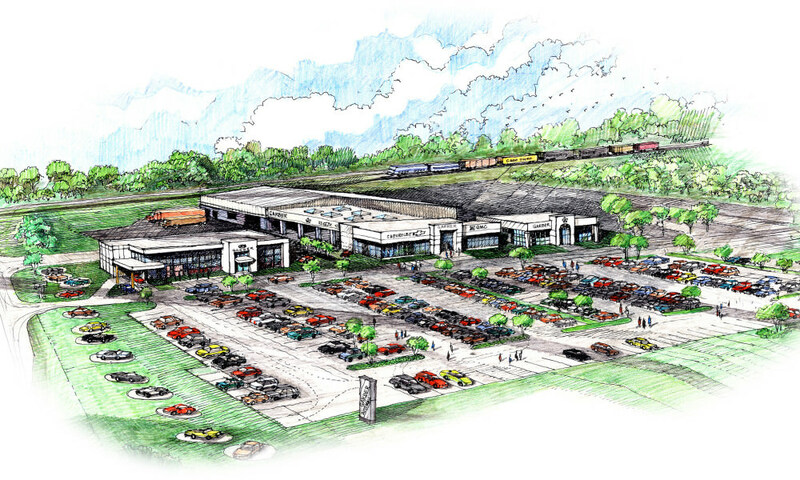 Architura has designed over fifty auto dealership buildings and also has an extensive list of master planned auto malls and dealership campuses. 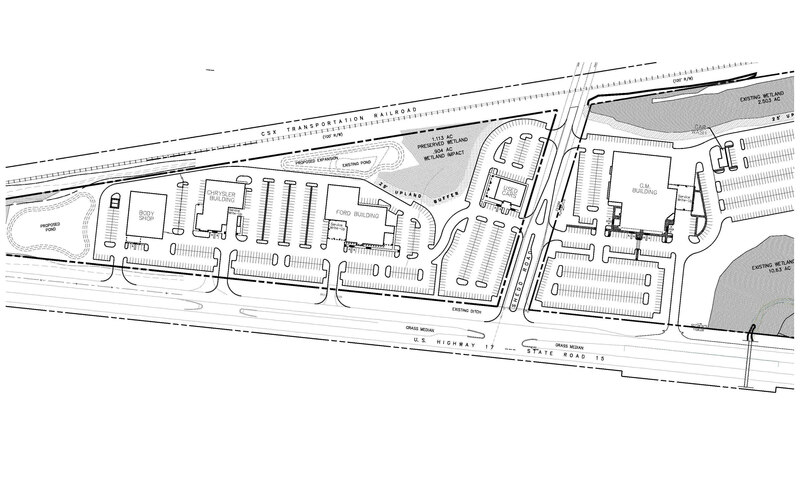 Our experience in site planning has generated well designed vehicular circulation flows in order to take advantage of assets of individual parcels of land, maximizing the use in relation to the natural characteristics of the property. 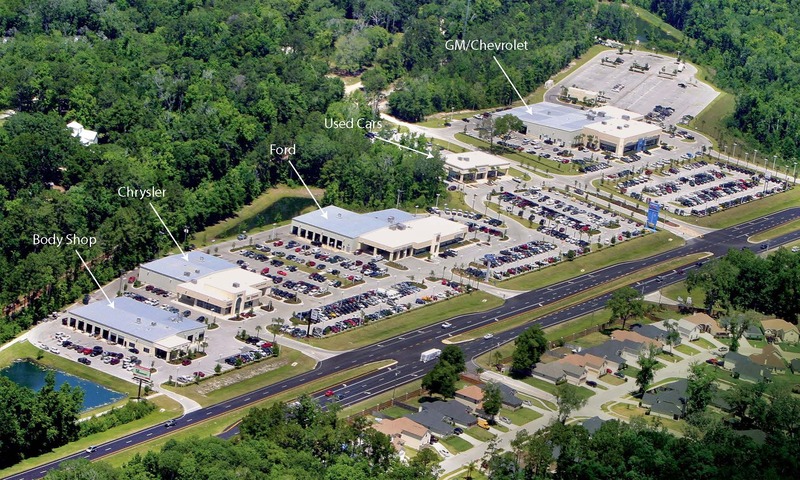 The Garber Auto Mall outside Jacksonville, Florida is where six buildings were designed and built concurrently on a parcel of land where sensitive ecological wetlands had to be preserved and protected. The GMC, Chrysler and Ford dealerships along with supporting body shop, carwash and pre-owned buildings were designed as a campus to all work together while retaining the individual identity programs of each manufacturer. Total development was 160,000 GSF, at a cost of $12 million and opened in 2005.